TL;DR I will never return to C4 Winnipeg. The convention is horrible from start to finish. Okay, so here’s the story of C4 Winnipeg 2017. Not too long ago, before the advent of mainstream organizations taking over conventions, they were run by well-meaning but inexperienced volunteers. It was considered standard for there to be hiccups, miscommunications and confusion in every process from registration to teardown. Nowadays, we’ve seen a better way: We’ve seen competence, organization, and we’ve experienced being treated with respect by people who know what they’re doing. 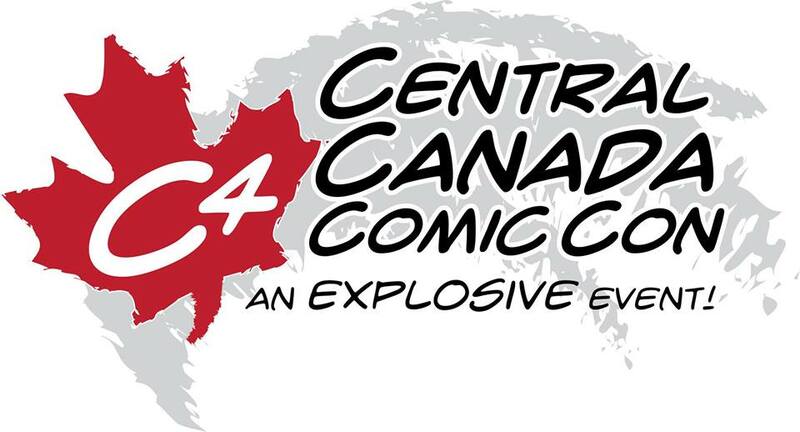 Which is why C4 Winnipeg was such an unpleasant shock. I haven’t exhibited at C4 for must-be-more-than seven years now; my buddy Kyle says it was ten. I do remember, however, why I stopped: Back then, the show had poor attendance, was poorly run, and the staff were atrocious— to the point of LAUGHING AT VENDORS WHO GOT TRAPPED IN AN ELEVATOR FOR MORE THAN AN HOUR. Let that sink in: Laughing at people who are in crisis. Between that, low sales, and a general demeanour among the attendees that they didn’t really understand what a comic convention was, I dropped the show and haven’t been back before now. I reasoned that seven to ten years was long enough for the show’s organization to improve, and so Kyle and I chose to share a table at the show as we thought it would be “low risk”: we were disastrously wrong. So- check-in. We only had hand luggage so we didn’t need the loading dock (which only had very limited spaces and had to maintain a very tight load-in load-out schedule because the venue simply could not handle large volumes). I thought we could simply take the escalator up to the third floor exhibit hall but no, we were shuffled into that same elevator from years ago; they had shoehorned, in fact bottlenecked, all vendors who weren’t using the loading dock freight elevator to cram themselves into the tiny, unreliable and ridiculously slow one. Imagine— making everyone line up for a single small elevator! After that, I learned the locations of escalators and ignored any and all staff who attempted to direct me to the elevator. It was just ridiculous in the extreme. At sign-in, they couldn’t find any record of me, or Kyle, and had all their information on large recipe cards. Not sure what I was filed under but they eventually found me after fifteen minutes of cross checking and verifying each of their piles. Has this show ever heard of a “computer?” Apparently not. I was not given any “exhibitor’s package,” not even a map of the show floor. I had to hunt one down just to find my table. Too, the "Exhibitor Badges" were wristbands that were identical to the wristbands of regular 3-day con attendees. We were stopped twice from entering the exhibit hall because of this. To issue the exact same band to an exhibitor as to a regular attendee is the absolute nadir of stupidity. As I was a last-minute exhibitor, I didn’t get a place in the Artist’s Alley, but rather in the Indie Gaming section— and I had to pay for a booth as opposed to a table. I expected a booth with curtains and a backdrop, but no— it was just a plain table, with no chairs. No. Chairs. We had to steal some from neighbouring tables in the gaming section. Higher price, but not what was advertised. One hour after the show opened, I got a phone call from the AA organizer— asking where I was! I told her I was exactly where I was supposed to be, as listed in the con program and on the website. Ten minutes later she came around the corner to find me, apparently she had mixed up where I was supposed to be. I thought I was going to have to move, but she okayed the location. Meanwhile, an empty table sat between me and the next dealer so I was offered half of that table to make up for the lack of a booth. I can’t say the location of my table was to blame for low sales, as many in the AA commiserated about lack of same, but this was far and away my worst show ever: I broke the hundred dollar mark on the last half of Sunday. I can’t find the original hotel sign-up document, but our hotel was advertised as being one block away from the convention space. It was not. It was SIX blocks away, which precluded taking our luggage there unless we wanted to pay for a cab - in a city whose cab drivers were not motivated to provide any kind of service. So we left our bags behind our table and just took a change of clothes and toiletries in a backpack to walk to the hotel. Saturday night, after the show, we were almost mugged— a man who had been gazing “nonchalantly” at the wall when we passed by fell in step behind us, causing me to pull my little rolly bag close to me, and only when Kyle made his box-cutter pocket knife plainly visible in his hand did the man veer off to study another wall. Downtown Winnipeg is not safe at night, is the moral of the story. The program book, incidentally, did not include anything like a schedule for the exhibitors, or indeed autograph/photo times for the celebrities— it had an utterly illegible floor map, which was badly photocopied onto the page, and the whole booklet was a bad photocopy, utterly useless to convey information. You couldn’t have said “Ghetto convention, amateurish and unprofessional” any more clearly than with this document. Extra "Ghetto" bonus was the bathroom-- there was a pool of urine in the men's washroom that was nearest to our table, and it was never cleaned the entire weekend. They couldn't even be bothered to check their own washroom to keep it clean. Finally, the show came to a close— we began to pack up at five p.m. on Sunday— and at 5:15 an announcement came over the loudspeaker saying to stop packing up, the show was open until six. I double checked the website— it read FIVE P.M. as the closing time. We doubled our tear-down speed and took the escalator down and out the door, jumping in the nearest cab. (We had tried to book cabs twice that day, and neither company was interested in our business or indeed in communicating clearly. Not con-related, but Winnipeg-relevant, so there’s that). I had a table at this show in 2008, and it was a bit of a disaster. During the sign-up process, there was some confusion around the table cost. The form said "All tables cost $25.00 which will be refunded after the event." Previously the organizers said the tables were free for out-of-towners. They also stated elsewhere that the $25 table fee was a mandatory donation to Heroes (charity). Confusing! When I e-mailed to ask Violet AKA Rhiannon for clarification, she replied "It can be waived for you, though [your friend] is paying it. Ugh basically pay it if you want to support heroes if not then I will waive it for you." Ugh? I know it was only $25 but I just like to know what is going on, and disorganization/confusion like that can often be a sign of worse to come. FYI: I paid the $25 and no, it was never reimbursed to me. At the show they made each local artist share a table with another random local artist. That seemed incredibly unfair to me, treating out-of-town artists like they were more special/worthy instead of promoting local talent. And the sign-in process, OMG I have never waited SO long in line to get my badge and check in. It was seriously over an hour. And the elevators broke. The show itself was fine and the venue (downtown) was fine as well. Not a lot of attendees. And the thing that will cause me to think very seriously about ever going back was that they actually lied about their attendance. For 2008 they claimed tens of thousands of attendees, which was a complete lie. I personally saw perhaps a few hundred walk by during the weekend. I broke even, barely. Might have even taken a loss. I decided not to go back. I'm sure it's improved since then and is great if you are local to Winnipeg. I believe the show ownership has changed hands several times, there was a point where I think Wizard World owned it.